Christmas Movie Magic | 25 days of Christmas! Today is the last day of our tour. We are in Greenwood, South Carolina and the sun is shining and it’s not near as cold as it has been everywhere else. I’m always a little sad to say good bye to all my bandmates, but this year I am more spent and tired than usual, so home is looking real good about now. It will be fast and furious the next couple of days getting ready for our family Christmas, but once we get to Little Rock, I’m fully expecting my mom and dad to wait on me hand and foot. Actually, it’ll pretty much be mom waiting on everybody, but I heard somewhere that’s what moms like to do…we’ll see. Here is the thing….they have a new really cute version with Dylan McDermott as the mom’s boyfriend, but I really like the old one best. And not the “colorized” old one. The black and white one. It’s the first one I ever watched with my mom years ago, and it’s perfect just like it is. 2.This is a brand new one that Caroline and I actually just watched yesterday. You can get it at Target and honestly I wasn’t expecting much, but we both LOVED it. 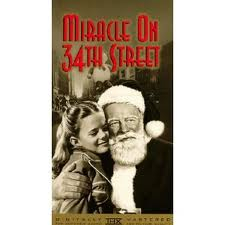 You have to watch it with your “child eyes”, but it’s sweet and colorful, a little real life and a little fantasy. And the little girl Quinn is redonk cute. 3. I feel like I should pick another older classic for number three, like White Christmas or something, but honestly, my other seasonal “must watch” is The Polar Express. I’m always completely amazed by the animation. It’s so good it’s a little creepy at times. But creepy good. And Tom Hanks is awesome in it…his voice anyway…. Click HERE to download it to your blog, website, twitter, facebook whatever you desire! Actually it’s scroll up a little, THEN look to the right! 🙂 I can’t believe I haven’t seen ANY of your favorites! To me, a classic Christmas movie is Home Alone. Brings back great childhood memories. My favorite Christmas movie is White Christmas, they just don’t make them like that anymore! I also love A Christmsd Carol, the new one from last year. Muppet Christmas Carol and the Grinch with Jim Carrey are also a must! Syd gets teary every time that little girl sings, “When Christmas Comes To Town” on Polar Express. SWEET song, love the movie too! Mark’s fave is “It’s A Wonderful Life” – don’t tell anyone, but he gets teary every time he watches!I don’t really have a favorite…unless I can count The Family Stone..oh…or The Holiday! Miss you girl! Come on home……. I wanna deliver the original one to you! How can I do that?? cute! 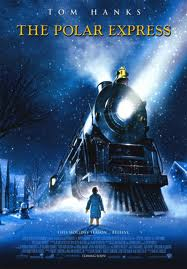 I love Polar Express too, I loved that book as a kid so seeing it come to life in a movie was so cool! I think it’s neat to see movies like that through the eyes of kids, it really makes it so magical 🙂 Hope you get home safe and get to rest, relax and enjoy this season! I’ve so loved your blog! oh and your count down is really neat! Talking DOGS! The end of me… Hahaha!